Archaeologist and award-winning photographer Gavin McGuire’s involvement with the Sissi Archaeological Project, where he conducted a seven-year photographic study of the Bronze Age Minoan excavations under the auspices of the Belgian School in Athens, Université Catholique de Louvain, offered an extraordinary opportunity to capture moments of human interaction during excavations as they interconnected with an ancient Minoan culture, stretching back millennia (2600-1200 BC). With the Sissi Photography Project, at a unique coastal landscape four kilometers from Malia Palace in Crete, McGuire follows a proud photographic tradition that is now facing yet another major technological change – from digital to virtual, from handheld cameras to drones, and to live excavation access. It is also the age of the smartphone – easy for anyone to use, producing high quality images that regularly engage a global general audience. McGuire’s approach revolves around being at the right place and at the right fleeting moment, making images that highlight motion and emotion from the more than 80 ‘players’ on the archaeological stage for the excavation season during each July-August. There are images of scientists at work – archaeologists, anthropologists, technical specialists, local workmen digging (many proudly following in the wake of their forefathers), and restorers and conservators dealing with the thousands of finds housed at the apothiki or workshop. Yet the Sissi Project encompasses not only the dig period but includes images of the site throughout the year, showing, in part, the impact of the environment. 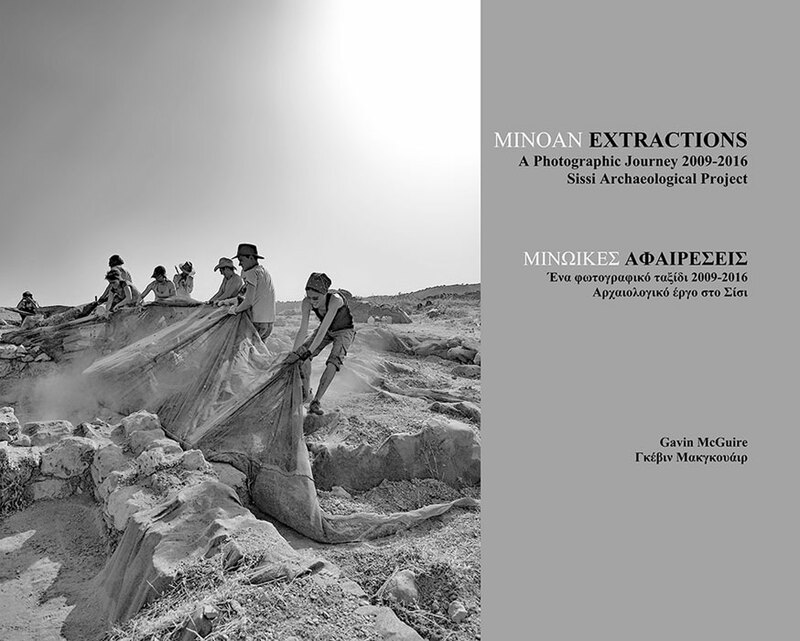 137 black and white photographs are accompanied by a series of short essays presented in English and Greek providing an overview of the project’s photographic approach and an introduction to the long and complex relationship between archaeology and photography from their 19th century beginnings. The outcome shows that archaeological sites are not just created overnight but are the result of years of discovery, restoration, and preservation. They are not just for now, but hopefully for the future. The ancient past deserves nothing more.